I am grateful I had the opportunity to do a particular session this week. It was intense. It was beautiful. It was healing for myself and the recipient. It was a session from a place of neutrality....which was a lesson/trial for myself as well, because for me this is at the moment an intense 'karmic' relationship. Sessions oftentimes have teaching or light bringing, for both the recipient and the channeler. After the session, I pulled the 3 'helping cards', they were quite relevant for the recipient. I then pulled 3 for myself, they were also extremely relevant. I shared my 'dream' from the night before, which had the recipient in it. The dream hit the topic on spot, which was also later verified through another source. Dêja vu was also experienced. 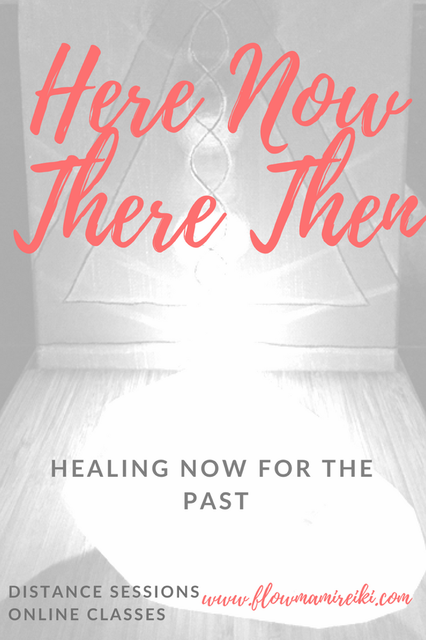 Healing the past. It's like going to your past and changing, healing, bringing light to it. When you start forgiving the people and relationships of your past....if you embrace this concept, you can maybe embrace that you can actually rewrite whatever happened. You CAN Change what happened. You Can envision the path that happened following the event, proceeding a different way, a peaceful, loving way.